Provide comfort for the family of Richard Olszak with a meaningful gesture of sympathy. 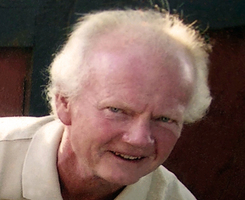 Richard Allen Olszak (Richie),72, passed away on Sunday, April 7, 2019 in Calgary, Alberta surrounded by loved ones. Richie was born in Aschaffenburg, Germany on September 14, 1946. He moved to Canada with his parents at 2 years of age in 1948. His family lived in Halifax, and Lethbridge before settling in Calgary in 1956. Richie spent most of his childhood and adult life in Alberta. Richie truly lived life to the fullest through simple pleasures – spending time with family or going camping in the old motorhome. He loved any and all sports. Whether watching or playing, he loved curling, baseball, hockey, and his favorite pastime, golf. Richie was up for anything, anytime. Richie’s friends would always remember him as the life of the party. A man whose soft heartedness, kindness, and generosity will be fondly remembered. Richie is preceded in death by his parents, Czeslaw (Cec) and Urszula Olszak. Richie shall always be lovingly remembered by wife, Susan Olszak; his sons, Ric (Tammy) Olszak, Robert (Jeri) Olszak; step children, Kyle (Leah) Wanvig, Brianne (Scott Pooley) nee Wanvig; grandchildren, Jayden, Cameron, Logan, and Eden Olszak, and extended grandchildren, Halle and Dylan Wanvig. Richie is now at peace and can be reunited with his loving parents and his 2 favorite fur babies, Mia and Gizzy. Special thanks to the caregivers at Age Care Beverly Glenmore. Richie will be cremated at Choice Memorial as per his wishes. No gifts or flowers please. Anyone wishing to pay respects are asked to do so in private prayer. To view and share photos, condolences and stories of Richard please visit www.choicememorial.com. Arrangements entrusted to the care of Choice Memorial Cremation & Funeral Services (403) 277-7343. Provide comfort for the family of Richard Allan Olszak by sending flowers.